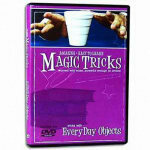 Perform jawdropping magic tricks with ordinary objects! BONUS deck! 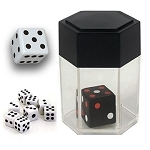 Learn to perform jawdropping magic tricks with ordinary objects and playing cards! BONUS: Comes with FREE Svengali Deck! Be the center of attention! 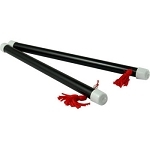 Ever want to make their jaws drop in amazement, but don't have the magic skill, or the time to practice difficult tricks? HERE IS YOUR ANSWER! 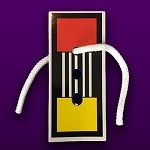 Several years ago, award-winning magician and Hollywood magic consultant Larry Anderson marketed his unique JawDroppers magic instruction DVDs through one of the most successful infomercials in TV history. 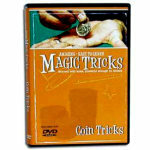 This amazing TWO DVD SET gives YOU the opportunity to learn the secrets to some amazing magic tricks that are specially designed to be easy to learn, but absolutely mind-boggling to your spectators! 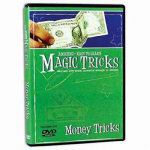 On these incredible DVDs, you will learn easy yet amazing tricks that you can perform for anyone, anywhere, at any time! 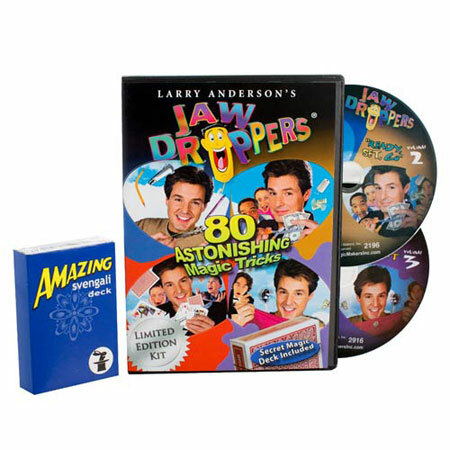 The JawDroppers DVDs include more than 80 great tricks with everyday objects, items you find around your home, school or office. 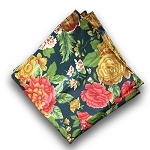 You'll be able to do a magic trick for someone at a moment's notice! Watch as Larry Anderson performs each trick and then explains each one step-by-step for you. You'll see every trick being performed by Larry, followed by a step-by-step explanation of how YOU can get the exact same results- with very little practice! Fun to watch and fun to perform! 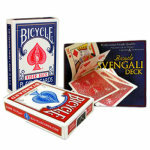 BONUS: You'll get the amazing Svengali Deck FREE when you order this DVD set! The Svengali Deck is an ingenious trick deck that is a favorite of magicians because it can do so much, yet it practically works itself! 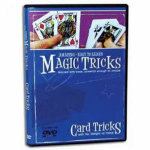 A section in the DVD set includes 10 Bonus Svengali Deck tricks, so you'll be able to get the most out of your new trick deck! This is the NEW version of this set! 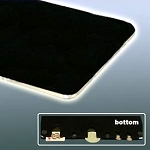 It has been remastered onto TWO DVDs instead of four, as shown in the demo video. You are getting the exact same material- nothing has been cut. Vol. 1- "Out of Thin Air": These tricks are so easy you can do them anywhere with everyday items! Volume 2: Ready, Set, Go! These tricks require little setup, and you will be ready to wow your audience! Volume 3: Well Worth It Takes your magic to the next level! Volume 4: Cards, Cards, Cards A collection of the best card tricks ever! You supply any ordinary objects needed. This is the NEW version of this set. There is some really great stuff on these videos. Most, if not all, of the stuff on here is able to be performed by beginner and intermediate magicians. It uses ordinary things you find around the house. If you are a beginner this is a good place to start and you will learn a pile of tricks for a reasonable price. You can watch straight through or select individual tricks to go back to later. Believe it or not, there are some rare gems found here that are very useful and entertaining if you are a more experienced magician. I knocked off a star because it looks like they issued a copy of the VHS series they made rather than doing a remaster for DVD. Still, it is very watchable. There is a lot of tricks here. I like that you put in a deck of cards to get me started. I have learned 11 new tricks so far. I watch a little bit every day. I try out my tricks when we eat dinner. I fooled my sister which was cool. Buy this item - get 22 Rewards Points!